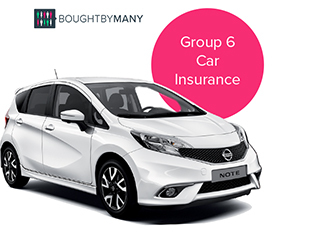 Group 6 is one of the lower car insurance groups, which means group 6 cars can be cheaper to insure than others in higher groups. And because it's not the lowest group, cars in it can offer a bit more comfort without breaking the bank. If you're looking for cover, check out our guide to the best car insurance policies. If you’re looking to buy a particular group 6 car, you can use Carwow to enter the make and model you're looking for and dealers will then bid for your business, so you can select the best price. There are dozens of cars in group 6 so below we've listed some of the most popular models. See our guide to group 1 cars here. Car insurance groups are used to help set insurance prices for cars. Car models are grouped based on criteria such as engine size and price. The Motor Insurance Repair Research Centre (Thatcham) decides on the groups cars fall into. However, insurers can also assign cars their own categories, although those are unlikely to massively differ from the ones assigned by Thatcham. There are 50 groups. The cheapest car insurance group is group 1 and the most expensive is group 50. Factors that determine what insurance group a car belongs to are the price of the car, the price of its parts and the amount you’d have to pay if you had to replace or fix those parts. In addition, the size and type of engine are also taken into account. 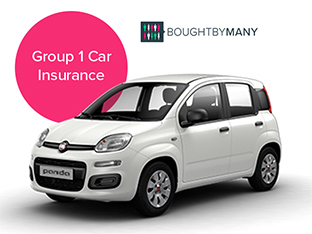 More sophisticated, powerful engines can place a car higher insurance group. Safety and security features can have an impact, too. Different variations and trims of the same model can fall into different insurance groups because of their specifications. For example, although Nissan Note 1.2 Acenta 5d is in group 6, Nissan Note 1.5 dCi Acenta 5d is in group 10. Modifications can alter the original group of a car. Added safety features can help bump your car down a group or two but installing a more powerful engine is likely to result in your car being put in a higher group. These are currently the most popular group 6 car models based on the number of people in the UK who own them. You can compare the price of insuring each car at Go Compare. The majority of variations of the second-generation model fall into group 6. It has a 1.2-litre Petrol engine with 78 BHP. Pros – low CO2 emissions, cheap to run at 60MPG, with a lot of safety features such as a blind-spot warning system, an advanced moving object detection and a lane departure warning. Cons – The design is on the simple side and the driving experience favours practical over exciting. Price: Used: from around £6,500 to around £12,000. New: From around £12,000 to around £17,500. Due to variations, Ford Fiestas can range from group 3 to group 31. The group 6 variations are the Style +, Studio, Zetec and Edge. Pros – Good looking cars with sophisticated detail. The driving position is adjustable with the steering wheel moving up, down and in and out, and it has a height-adjustable drivers’ seat. The Zetec group 6 variations come with Ford’s award-winning 3-cylinder 1.0 engine. Cons – Although well designed, the inside of the car is made of some cheaper materials and that’s noticeable at a closer look. Not a lot of leg or headroom in the backseats. Price: Used: from around £3,500 to around £6,000. New: From around £11,000 to around £14,000. Studio 1.4 Petrol, LX 1.4 Petrol, Style 1.4 Petrol and Sport 1.4 Petrol. Pros – Good performance – responsive and comfortable. An economical engine makes it cheap to run. Stylish and good value for money. Cons – Not a lot of space in the boot and the back seat. Not for speed maniacs and previous owners of this model report a number of design flaws. Price: between £500 and £4,000. Quite a lot of models from between 2006 and 2014 fall into group 6. There are also a few in the last generation, 2014 onwards. Pros – More spacious and stylish than its predecessor, drives smoothly and is a comfortable ride. Great interior. Safe and practical. Cons – Not a very powerful ride, so might feel a bit underwhelming for some. The boot may be small for some. Price: Used: between £600 - £8,500. New: Around £10,000 - £15,000. Fourteen variations of this generation Citroen C3 fall into insurance group 6. Pros – Good value for money with economical diesel engines. Very practical and compact – easy to park. Has good storage room in spite of its small size. Cons – The quality of ride leaves something to be desired and so does the interior. Price: Used: between £200 - £3,000. New: between £8,000 – £14,000. Pros – A reliable, solid car with lots of space and a number of safety features included as standard, such as anti-lock brakes. It also has a sliding rear bench that allows for the seats to go completely flat and make more room for luggage. Cons – It can be a bouncy ride on a less smooth road, and both new and used prices can be a bit steep. In addition, its engine might be a bit loud for some people’s taste. Price: Used: from around £800 – £5,000. New: from around £8,000 – £16,500. Nineteen variations of the 207 released between 2006 and 2012 fall into insurance group 6. All come with 1.4-litre engines and there’s a choice between diesel and petrol. Pros – Cheap to run, high safety rating. It is more spacious than its predecessors the 205 and 206. Comes with a host of safety features such as three-point seat belts in the back with outer belt force limiters, switchable passenger airbag and side airbags, making the entry-level trims good value for money. Cons – Issues with the windscreens on the 3-door model have been reported. And so have LED dashboard failures. Price: Used: from about £700 - £4,050. New: In the range of £9,500 - £17,100. The Active and Access + fall into group 6. Both come with a 1.0-litre Vti petrol engine. Pros – Good town car with a comfortable stylish interior. It’s lighter than the 207, which makes it more energy efficient. It has low C02 emissions. Cons – Some have said that the lower spec cars, which are essentially entry-level versions that fall into group 5 and 6, don’t have as high a finish as the higher spec variations. Price: Used: from around £3,000 - £12,500. New: In the range of £14,500 - £20,000. How much does it cost to insure a group 6 car? A quote for a Pegaout 208 1.0 VTi 3d from Admiral, for a 35-year-old female driver, based in West London, who has held a driving licence for 10 years and has never made a claim, was £1,469. The voluntary excess was £350. Using the same criteria we also got a quote from LV= for £603 for less comprehensive cover. The voluntary excess was set at £250. Churchill offered more comprehensive cover for £879 a year, with a voluntary excess of £350. A quote for a Vauxhall Corsa S ecoFLEX 5d 2014 with a 1.2-litre Petrol engine came in at £904 with Churchill and £865 with LV=. One of the most comprehensive policies we found was from RAC and cost £1,406. We got another quote, this time with Direct Line, for a Ford Focus Studio 1.2 2009 3d, for the same person. We were quoted an annual premium of £893. We stated the car’s value was £4,000. The more comprehensive the insurance policy, the more expensive the premium. Overall, prices ranged from about £700 to £4,000. To get a better idea of how this compares to a group 1 car, we got another quote from Direct Line for the same driver, using the same details, but for a Kia Rio 1.1 Air and the annual premium quoted was £747. We stated the car’s value was £6,000. We found all quotes in January 2018. For more information on group 1 cars, look here. The cost of your annual premium will depend on different factors such as your age and where you live. 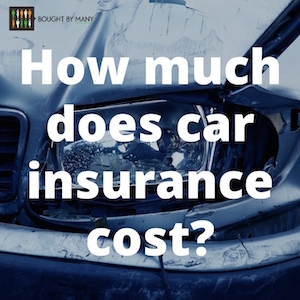 Learn more about the cost of car insurance. You can compare prices at Go Compare. We've listed and reviewed the best car insurance companies of 2019.